You are here: Home / Celebrity Interviews / VIDEO: Meghan Trainor’s Dishes About Her Mom & First Song With Radio Disney! 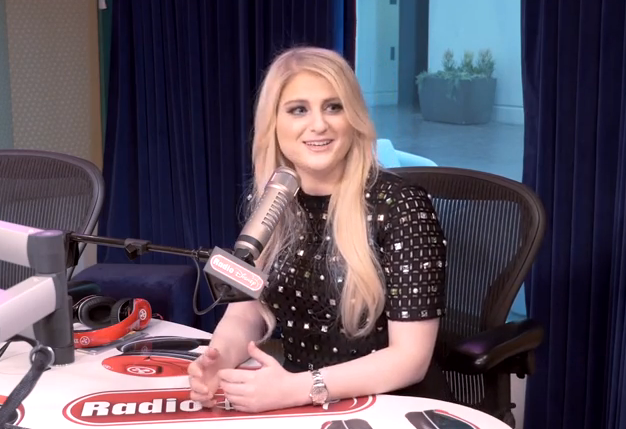 VIDEO: Meghan Trainor’s Dishes About Her Mom & First Song With Radio Disney! Meghan Trainor visited Radio Disney again recently speaking with Radio Disney personality Candice about her fantastic year in music. This leads to Meghan dishing out funny details on her mom’s emojis. Then we get a blast to the past as we find out how she first began in music. Check out the interview with Radio Disney below! « VIDEO: Who Wins The “Selfie Standoff”: Alli Simpson Or Cody Simpson? You Judge!